Amazon’s announcement of a universal $15-per-hour minimum wage for employees and temps stunned critics on Tuesday, earning the megacorporation unlikely praise from progressives like Senator Bernie Sanders and 2018 U.S. congressional candidate Alexandria Ocasio-Cortez. The move is, for Amazon’s hundreds of thousands of workers, a net benefit—full stop. Tactically, it’s also a brilliant play ostensibly intended to take the wind out of the sails of a growing pro-union contingent within the company, garner goodwill for a corporation repeatedly accused of grueling and unsafe warehouse conditions, and pressure competitors that may not have other revenue sources—like Amazon Web Services—to underwrite higher wages. On one point, though, it seems the pay increase announcement backed Amazon into a corner. We will be phasing out the [Restricted Stock Unit] grant program for stock which would vest in 2020 and 2021 for this group of employees, replacing it with a direct stock purchase plan before the end of 2019. In general, the benefit of a direct stock purchases, as opposed to paying for them on the open market, is the avoidance of broker fees. But beyond that general framework, Amazon doesn’t expound further on the scope of the replacement program. We will create an Amazon stock equity program for all our Team Members with at least 6,000 service hours. Last spring, Amazon granted Restricted Stock Units (RSUs) to all Whole Foods leadership from Associate Store Team Leader level and up. 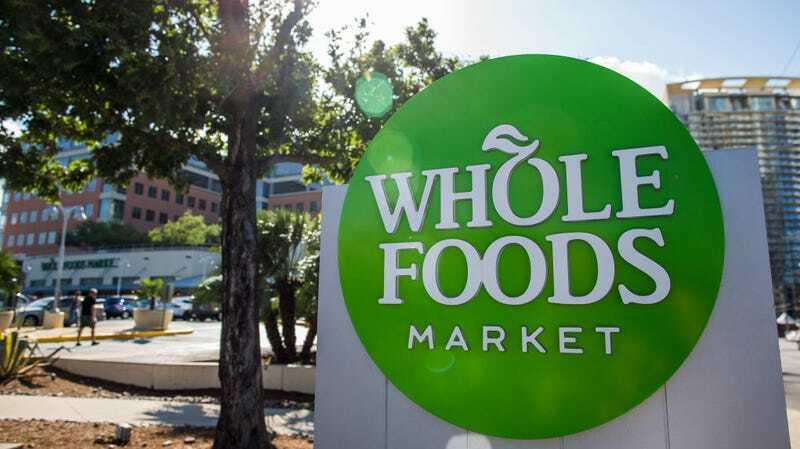 We have heard from many Team Members who expressed disappointment about not providing equity opportunities for all long-tenured Team Members as we had previously done with the Whole Foods Stock Option Plan. I want you to know that we are actively developing a solution with Amazon that will address these concerns. We reached out multiple times to both Amazon and Whole foods for comment and have yet to receive any clarification on this apparent discrepancy in marching orders. Whatever the resolution, the company is effectively hamstrung: Either Amazon’s directive supersedes Mackey’s, or the company ends up with a two-tiered system where warehouse workers aren’t offered stock but grocery store workers are. Stock options may be a major sticking point, both because these internal statements appear to stand in contradiction and because gain-sharing is a major concern for organizing Whole Foods employees. But the confusion and lack of response are indicative of the rollout of these changes more generally. Amazon’s $15-per-hour move is a step in the right direction for America’s second-largest employer, but for organizers, it needs to be the first step of many.